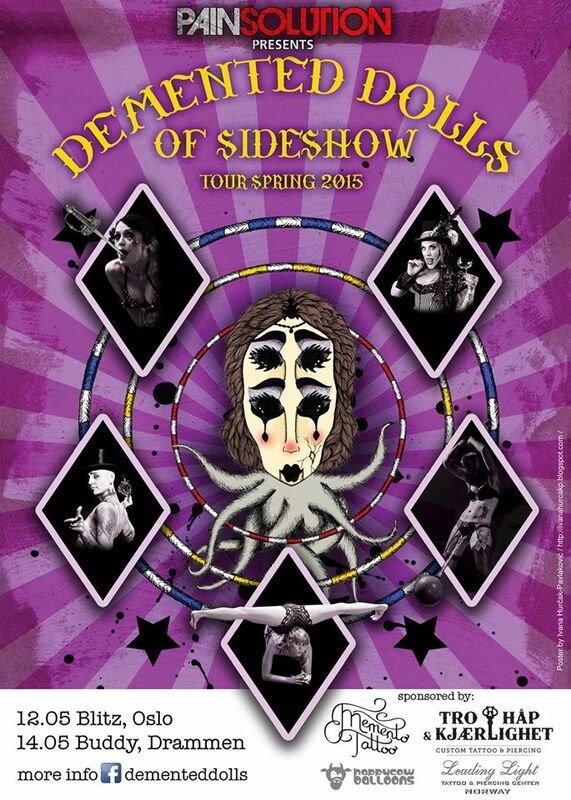 We are proud to present Demented Dolls of Sideshow in Oslo 12/6 and Drammen 14/6! Come see five of the very best female sideshow performers live! Prepare to be amazed, amused and astounded by the incredible and bizarre acts of physically challenging feats presented by the Demented Dolls of Sideshow!